NEWS: Her’s @ Think Tank? You know when you come across a band that you simply have no idea what they’re doing or where they’re coming from at any one time? That’s how I feel about Liverpool’s most eclectic duo Her’s. 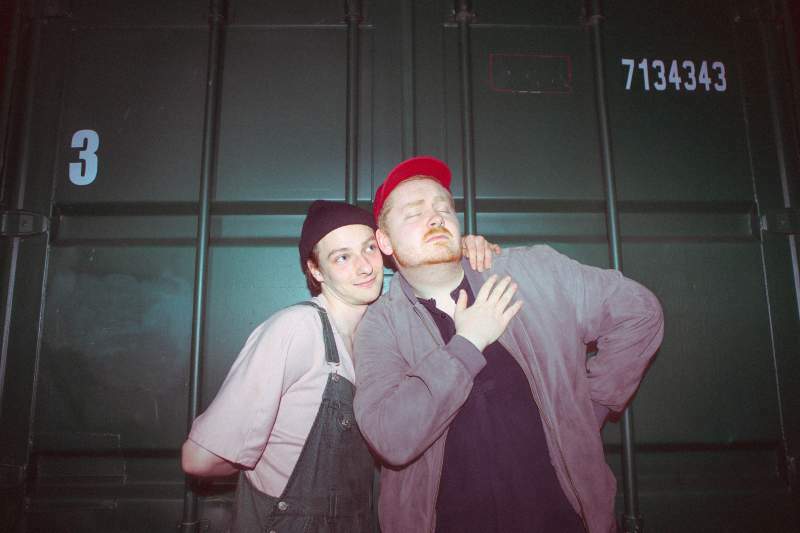 The unusual collaboration between Norwegian Audun Laading and Barrow-born Stephen Fitzpatrick turned out to be the best kind of musical synthesis to create a unique indie sound. Debut album Invitation to Her’s is my favourite type of crossover: dreamy nonsensical pop which dabbles in morbidity. Album highlight Harvey is exactly the kind of trippy tribute to the six foot three and a half inch invisible rabbit we may not have even know we needed until we heard it. If the lovable fluffy bunny isn’t quite your cup of tea, perhaps Love On The Line might be more your speed. That is, if your speed is infatuations with late night hotlines. While the band’s idiosyncratic off-kilter sound may be dazzling on record, we’re willing to bet their live show goes one step further. Find out for yourself as they perform at Newcastle’s Think Tank? On Tuesday 30th October.